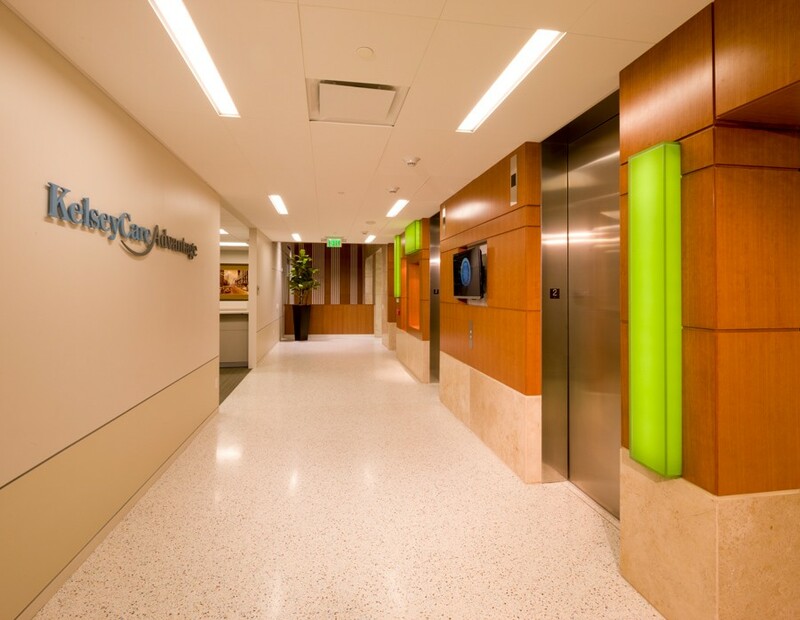 The design strategy for this new corporate back-of-house facility for a major health care provider is a careful balance between environment and budget. The program consists of a consolidation of several different locations and administrative functions under one roof on a creek-bordered site. 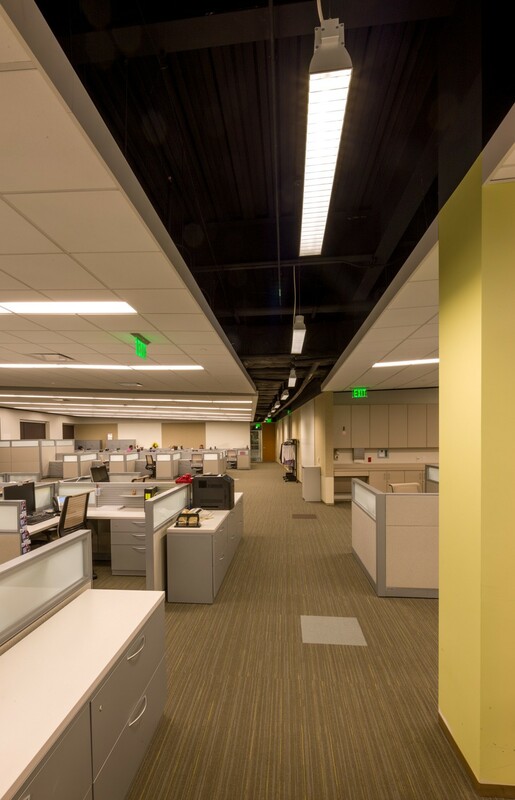 The strategy was to accommodate the same number of people in the multiple facilities under one roof and considerably less square footage. The 170,000-sf solution came in at nearly 40% more efficient than existing conditions. 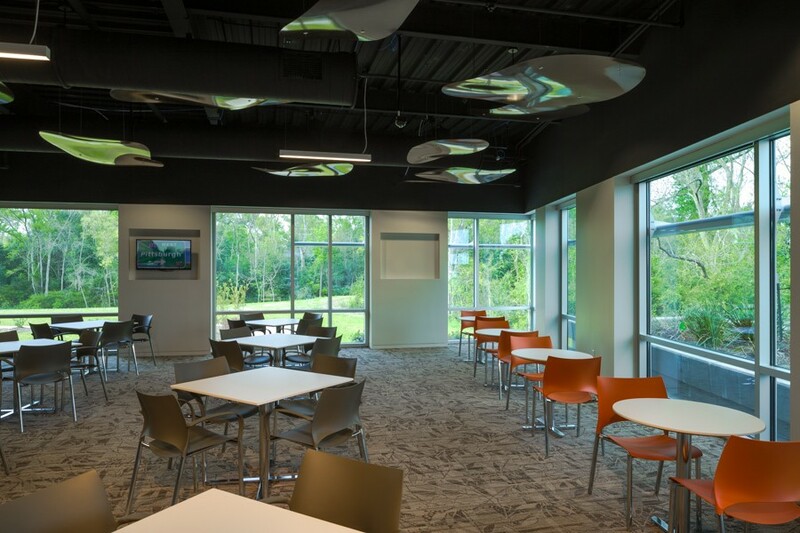 This allowed for many employee amenities to be integrated into the building interiors and for the building to be nestled against the creek and nature preserve. The preserve includes a quarter-mile running track and pond. 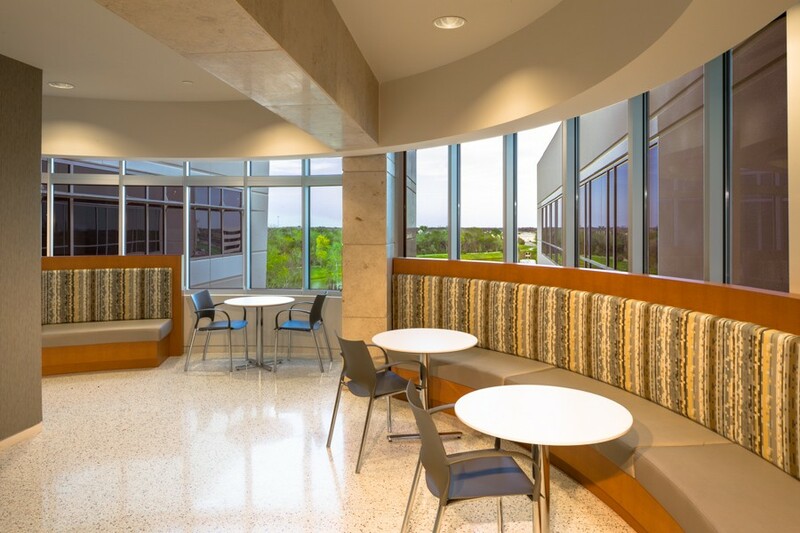 The interior amenities consist of a consolidated meeting suite with food service, a major full-service cafeteria with a Luby’s franchise agreement, floor-by-floor town hall spaces and roof top gardens overlooking the landscaped rear park area. 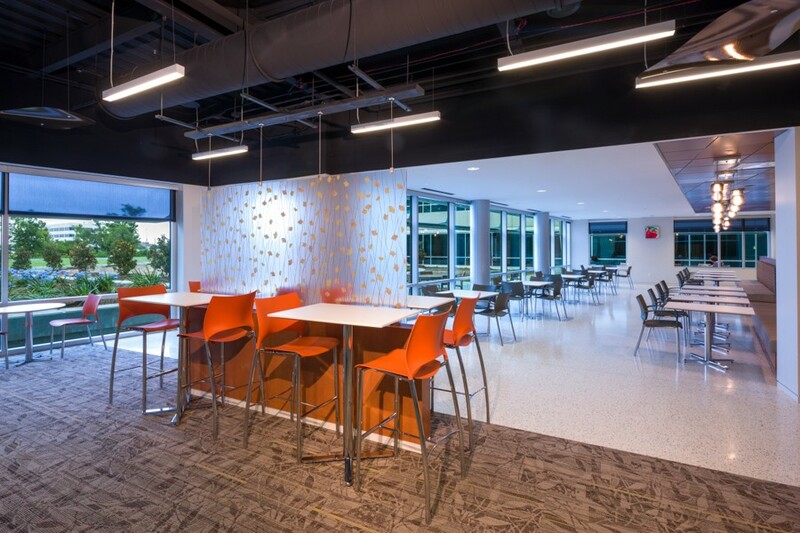 The floor plates are shallow but efficient allowing all workers easy access to daylight, with wall spaces for support functions and huddle areas on the interior core zones. 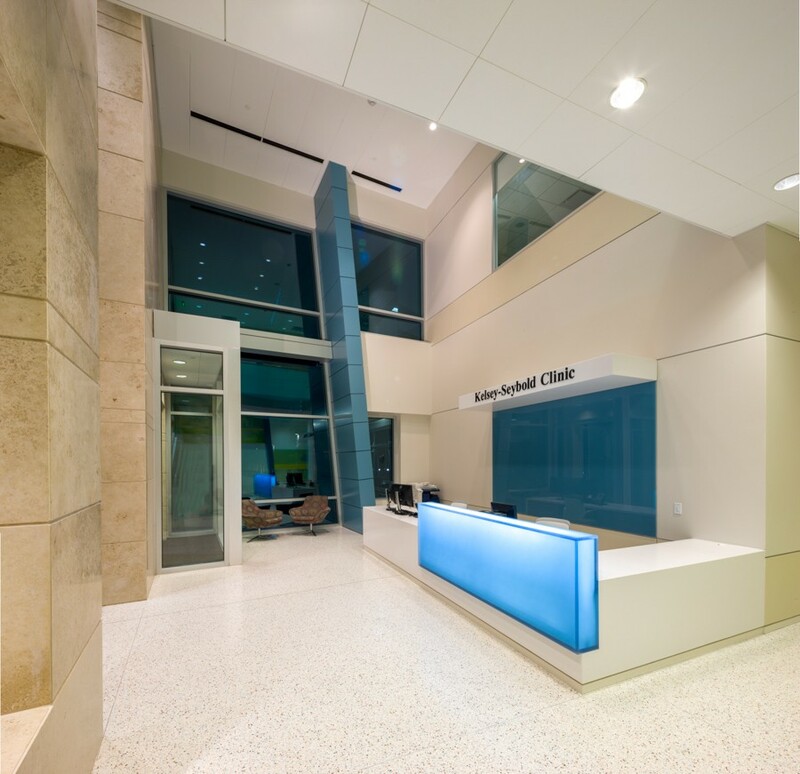 Natural materials such as limestone and anagre wood veneer delineate the public core and circulation areas while a floor-by-floor color scheme clarifies way-finding and departmental locations.